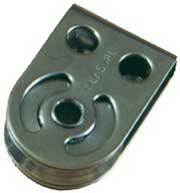 A budget quality range of 25mm (1in) blocks in stainless steel with a Nylon sheave. 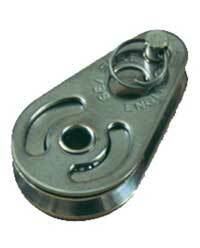 Choose from a general purpose block, a stainless steel pulley block with removable pin or a stainless steel block with shackle, all suitable for up to 6mm rope. Suitable for up to 6mm rope. A range of high quality 25mm single blocks from Seasure, all of which have been tested in the most extreme race conditions and proven over time, and you will often find them in use after more than 30 years! The high strength to weight ratio and simple construction give years of trouble free service. The '00' range offers an unparalleled range of control line configuration opportunities. They feature hollow rivets for lightness and tough plastic sheaves that provide a good bearing surface allowing easy rotation under a range of load conditions. The robust electro-polished 316 stainless steel construction also gives a high chafe resistance should any feed or take-off misalignment occur. Made in the UK from 316 stainless steel and tough "Arnite" plastic. 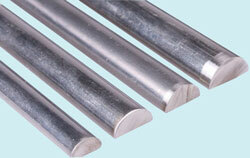 Suitable for up to 6mm rope. A range of high quality 25mm double blocks from Seasure, all of which have been tested in the most extreme race conditions and proven over time, and you will often find them in use after more than 30 years! 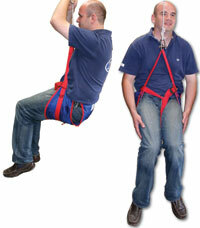 The high strength to weight ratio and simple construction give years of trouble free service. The '00' range offers an unparalleled range of control line configuration opportunities. Their classic design has stood the test of time. They feature hollow rivets for lightness and tough plastic sheaves that provide a good bearing surface allowing easy rotation under a range of load conditions. The robust electro-polished 316 stainless steel construction also gives a high chafe resistance should any feed or take-off misalignment occur. Made in the UK from 316 stainless steel and tough "Arnite" plastic. Suitable for up to 6mm rope. A range of high quality 25mm treble blocks from Seasure, all of which have been tested in the most extreme race conditions and proven over time, and you will often find them in use after more than 30 years! The high strength to weight ratio and simple construction give years of trouble free service. Suitable for up to 6mm rope. A range of high quality 25mm bolt down blocks from Seasure, all of which have been tested in the most extreme race conditions and proven over time, and you will often find them in use after more than 30 years! The high strength to weight ratio and simple construction give years of trouble free service. Made from Stainless Steel with a Chrome plated Brass sheave. 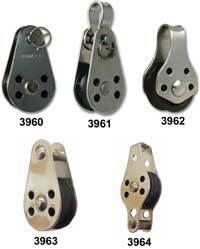 For use in high load applications such as those imposed by wire and Dyneema halyards. 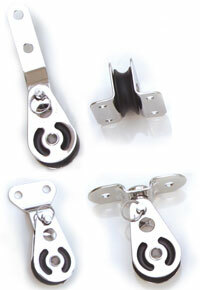 The Stainless Steel side plates prevent highly abrasive ropes from cutting in. Suitable for 4mm Wire, Dyneema, Spectra or Kevlar. Breaking load 950Kg. The carbon sheave is particularly hard wearing. 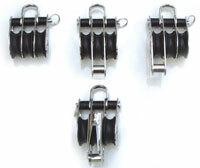 Small 1" (25mm) blocks made from stainless steel with a 1" stainless steel sheave, suitable for up to 4mm rope. 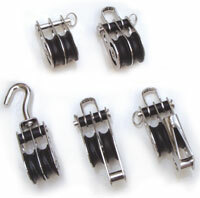 Base mounted swivel for use with blocks in the 25mm range. These lightweight high load capacity blocks are made from carbon fibre with stainless steel. The ball race is made with stainless steel balls with carbon fibre hub and cage.